Have always been fascinated with electronics and computers – but never knew how to go about it. 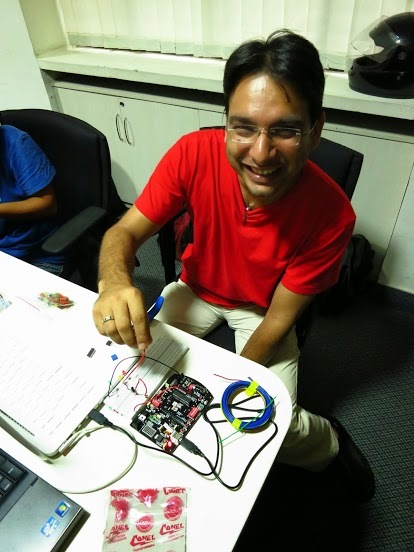 Finally got a chance to experiment – when Abhiram decided to hold a small electronics workshop. Well – got up early (comparatively) on a Saturday and went to see what could happen. Anyways – long story short – I had a lot of fun and am now hooked to microcontroller programming. Monday, October 14th, 201310:13 amThis entry was posted on at and is filed under Electronics. You can follow any responses to this entry through the RSS 2.0 feed. You can leave a response, or trackback from your own site.